The latest in Brilliant Classics’ selection of Vivaldi releases, this vivid and inventive collection can be considered the first true example of the genre later to be connected so strongly with the ‘Prete Rosso’: the violin concerto. La Stravaganza gains its extravagant title from its bold modulations, subtle melodies and unusual intervals. Having set the precedent himself with L’Estro Armonico (Op.3), the music in La Stravaganza goes far beyond these compositions of some five years earlier (though it could well be that they were in fact composed in the period preceding the publication of Op.3). Vivaldi fully exploits the potential of the slow movements, extending them from a few sustained chords into a dramatic interplay between the soloist and tutti players. For the first time too, he moves further away from the concerto grosso form, with the soloist increasingly taking the starring role, supported only minimally by the other players, who at times fall silent, allowing the violin to play with continuo alone. Add to this some of the most elaborate embellishments ever written – an innovative practice for players at the time who were used to improvising the ornamentation themselves – and the concertos really do live up to their extravagant title. 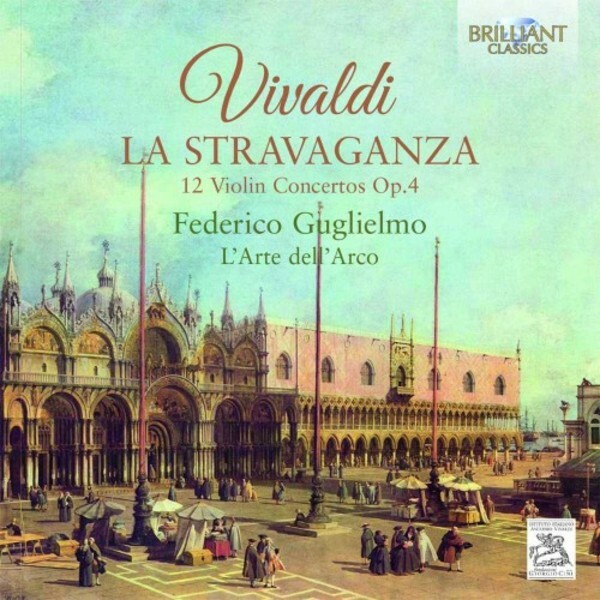 First released as part of Brilliant Classics’ authoritative Vivaldi Edition in 2014, this album is part of a new series of Vivaldi collections by the Italian group L’Arte dell’Arco, led by acclaimed violinist Federico Guglielmo. Experts in authentic Baroque performance, the group’s previous release of Vivaldi’s Ottone in Villa (BC94105) was praised by Gramophone magazine for its "sustained lyricism" and "warm sound". Playing on original instruments, with just one player per part, L’Arte dell’Arco produces a compact but vibrant tone, fully embodying the Italian sound of the Red Priest.